394 people in our community are currently praying with you. I have no idea what the lyrics of this "Chinese Christian Children's Song are, but it is very sweet and it is important to remember our brothers and sisters in China. "Now when David had served God's purpose in his own generation, he fell asleep; he was buried with his ancestors and his body decayed. But the one whom God raised from the dead did not see decay. Paul and Barnabas have traveled, via Cyprus, from the great city of Antioch to a town of the same name in Pisidia, a district of south-central Anatolia. 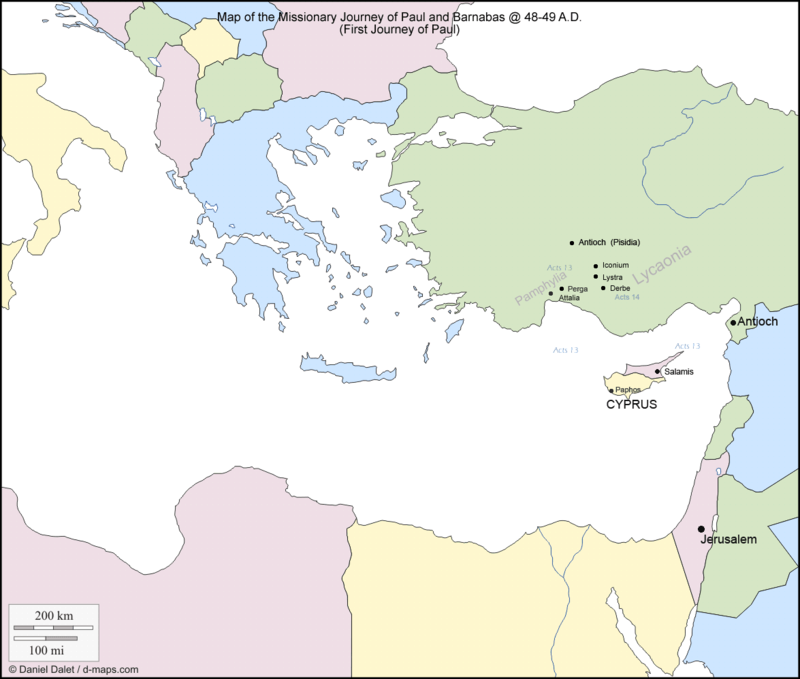 (See Daily Devotional's map of Paul and Barnabas' mission.) This is Paul's first great missionary trip and, after being asked to speak by the local synagogue (who had apparently heard of them), Paul launches into a presentation of the good news. As with most conversion sermons to Jews, he began with a history of the Hebrews; today, he gets to the meat of his message. 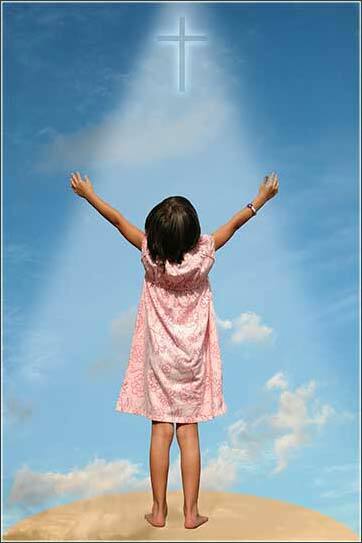 David (who was much revered), when he had served God's purpose, died, and his body returned to the earth. But now Christ has come and defeated death. His body did not decay, but returned to life and walked the earth, for a period, before he was gathered up to heaven. We don't often think about what happened to Christ's body, but the Bible is clear that he was resurrected physically. Remember, when people (the accounts differ somewhat at to who it was) went to his tomb, it was empty; God did not simply give Christ's spirit life after death, but showed in his great power that he had created Christ's body, and he could give it life as he willed. Thomas put his fingers into the wounds in Christ's hands and side. Now, God has begun to do the same thing for humanity that he did for Christ. The body of the world's population has begun to receive the Holy Spirit during their life, and it is spreading, as Christ spread it during his lifetime on earth, through physical transmission of the word. As Christ himself traveled through Judea in the few years of his ministry on earth, Paul has begun to travel in ever-widening circles throughout the world, witnessing to all that it is not God, but sin, who has declared death; and that through Christ's sacrifice and grace, the sin which we have accepted can be driven out, so that we might not die, just as Christ did not die.